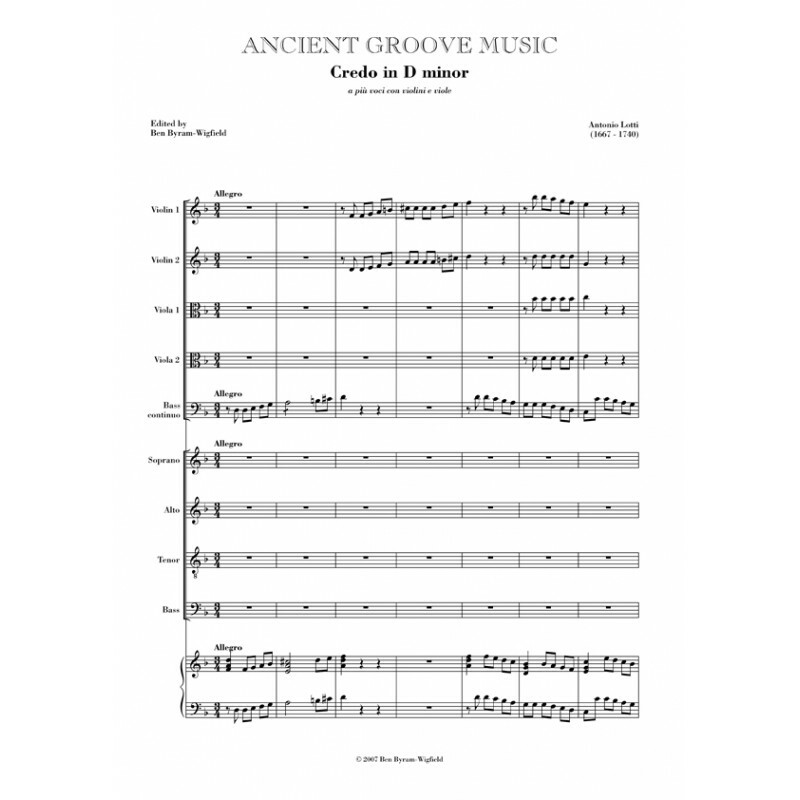 (includes Crucifixus 10vv) SSSAATTTBB chorus, 2 violin, 2 viola, bass continuo, keyboard. From British Library, an early 19th-century ms in score. The work has no key signature. The continuo part is unnamed and contains no figures, but does have tremolos. 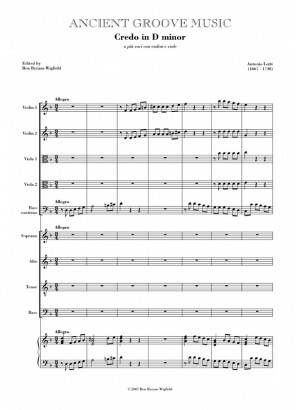 As with the Credo in F, the Crucifixus of this work is known separately as a motet for 10 voices, and the strings are tacent for that section. A recording of this work is available as a free download on this site, performed by The Parson's Affayre, conducted by Warren Trevelyan-Jones.